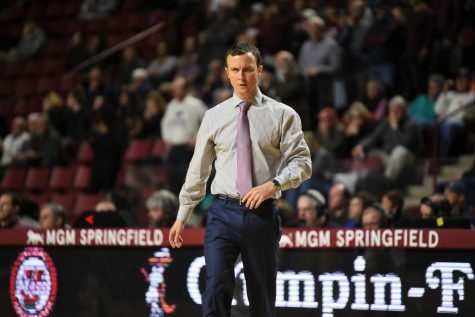 Call it a cliché, but the Massachusetts men’s basketball team is only thinking about tonight’s game against Saint Joseph’s. Then again, when a team loses five straight games, it has to worry about winning one game before it can look ahead. 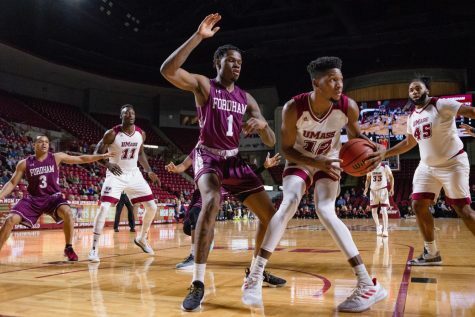 UMass (7-12, 1-4 Atlantic 10) is looking to turn its season around against the Hawks (7-11, 2-3 A-10), who had their own struggles this year, but who are starting to turn things around. 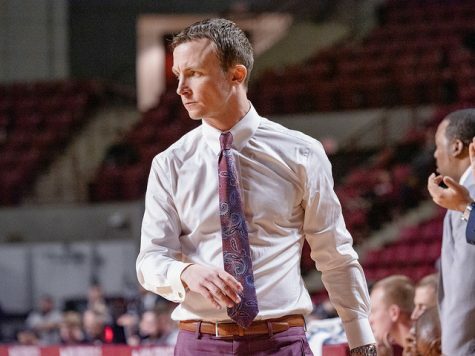 St. Joe’s is currently on a three-game winning streak, beating Towson, Dayton and Penn. 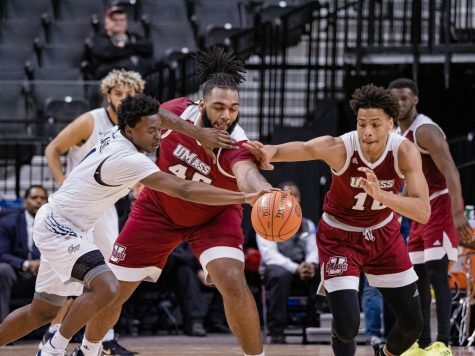 UMass men’s basketball coach Derek Kellogg believes the Hawks’ win over the Flyers, who were pre-season favorites to win the A-10, proves that they are tougher than their record indicates. 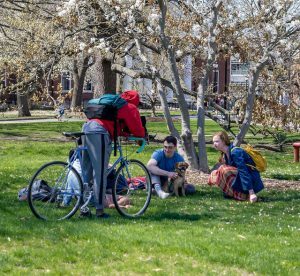 If there’s anything Kellogg and Co. can take comfort in, it’s the fact that SJU is nothing like No. 25 Baylor. The Hawks are a guard-oriented team with senior Darrin Govens leading the team in scoring (12.9 points per game). The Bears featured a frontline of three players 6-foot-10 or taller and caused problems inside with their size. 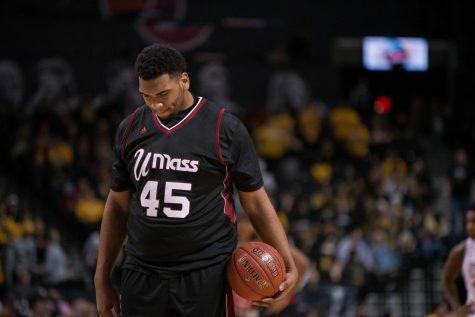 UMass finished the game 24.2 percent from the field. The forward who caused the most problems for the Minutemen was Ekpe Udoh (23 points, seven blocks). His presence forced the guards who were used to driving to the lane to take more outside shots because of his length. 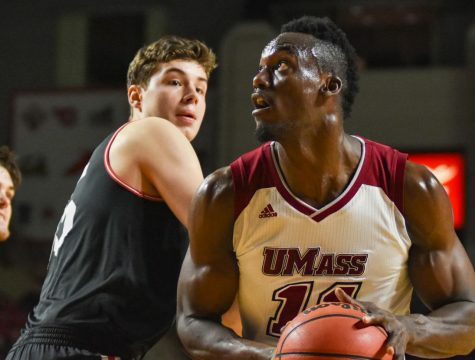 The Hawks aren’t going to give UMass nearly as much trouble inside as the Bears did. Center Todd O’Brien (6-11) is the only player taller than 6-foot-7 to average at least 20 minutes a game. Kellogg said he looks forward to playing St. Joseph’s because he is more comfortable having his team play against a smaller, quicker team than a team with a lot of size. The Minutemen have a similar style to the Hawks because of their guard trio consisting of Ricky Harris, Anthony Gurley and Freddie Riley. All of them average at least 10 points per game and can push the ball up the floor. 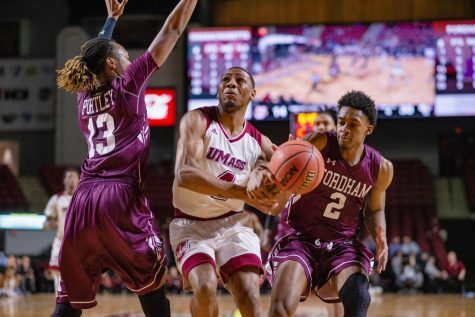 UMass is also hoping to capitalize against its smaller opponent on the boards. 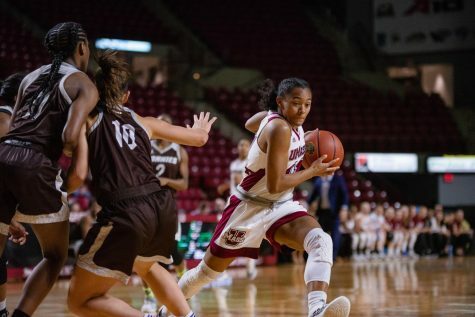 Against Baylor, the Minutemen finished with a 42-33 advantage. However, Kellogg’s team has not done as good of a job with second chance points as he would like. 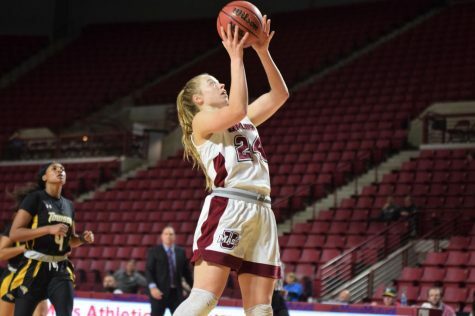 Despite finishing with 22 offensive rebounds, the Maroon and White totaled six second-chance points. 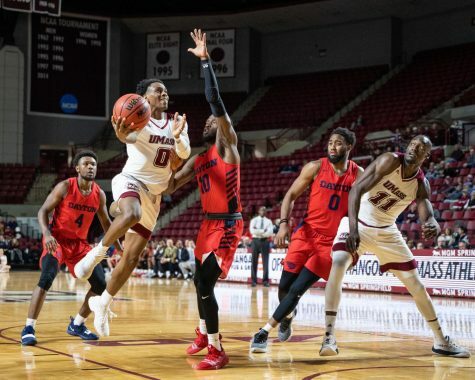 Kellogg believes that the Minutemen’s shots will start to fall once again as soon as they become more confident in themselves.